As Thomastown's premiere Ironman 4X4 dealer, we carry a full range of Ironman 4X4 accessories as well as a range of complementary brands to get you off the beaten track. Thank you for visiting Melbourne 4x4 Centre, located in Thomastown we are the home of Ironman 4x4 and all things 4WD in the Northern suburbs of Melbourne. 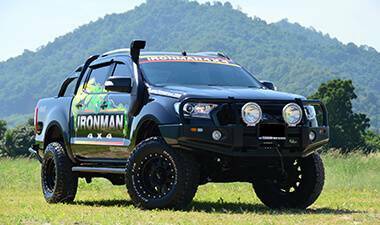 As an Ironman 4x4 Platinum store, Melbourne 4x4 Centre offers the full range of Ironman 4x4 products and much more. All of the products we supply and fit are designed to provide safety and reliability while meeting the demands of off-road use. 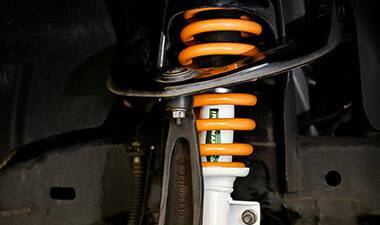 On road or off the beaten track, Australia’s first choice for 4x4 suspension & accessories is Ironman 4x4. Whether you use your 4x4 as a daily drive, a family vehicle or as an off-road adventurer, we have the range of products that will deliver not only on quality but on safety and reliability. In our fully equipped workshop we offer a full range of services from fitting of your accessories through to mechanical repairs, servicing and wheel alignments. 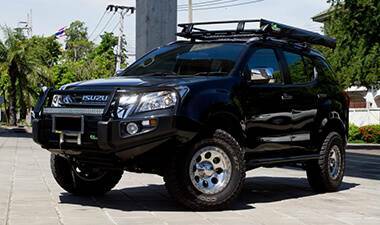 Your safety and taking care of your 4WD is our priority to give you peace of mind that your 4WD will perform not only on a daily basis but also when you need it the most. No matter what you need, our team of experienced staff at Melbourne 4x4 Centre are always here to answer your questions and offer advice on setting up your 4WD to suit your requirements. Why not drop in or give us a call today and let us help you turn your vehicle in to the 4WD you have always wanted! You can do it all at Melbourne 4x4 Centre.